A Christmas Memory, feature film; Thursdays at 3:30 pm. Village of Dreams, feature film; Tuesdays at 4:00 pm. The Dutton's Christmas Holiday Special; Wednesdays at 4:30 pm & early Tuesdays at 5:30 am. 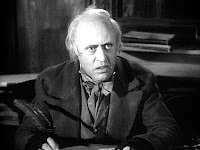 Scrooge: A Christmas Carol; Tuesdays at 10:00 am. Jesse Walker's Country Christmas Specials; Tuesdays at 11:30 am & Wednesdays at 5:30 am. Christmas Cartoons; Wednesdays 5:00 pm. New December shows on WYOU! Grit TV with Laura Flanders is a new news and arts discussion show with interactivity and a positive take on what's going on. Made possible by Free Speech TV. See it Tuesdays through Fridays at NOON. Explore and World Music Block. Now airing in prime time Saturdays at 8:00 pm, explore the world and hear the music. Made possible by Link TV. See repeat airings on Wednesdays at 11:30 am & Sundays at 6:00 am. Our upcoming December schedule is looking to be a good one! Lots of new programs along with some holiday cheer! 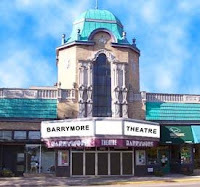 Amy Goodman & Jeremy Scahill filmed LIVE at the Barrymore; Tuesday nights at 8:00 pm and Mondays at 9:30 am. The Making of the Mad City Chickens documentary; Monday at 9:30 pm and Sundays at 10:00 pm. Bang Camaro Rocks in Madison; Fridays at 9:00 pm & Thursdays at 11:00 pm. The Free Speech Channel's Grit TV; Tuesday-Friday at noon. Link TV's Explore & World Music; 8:00 pm Saturday nights. Newly updated WYOU Community Calendar, what's happening in Madison! Now M-F at 2:30 pm. The Dutton's Christmas Holiday Special; Wednesdays at 4:30 pm. More Than Enough: The Mifflin Street Co-op Story, Monday 8:30 pm & Tuesdays 9:00 am. Out To Lunch, sketch comedy, Thursday evenings at 11:30 pm. Video-a-Go-Go, UW student films, Fridays 9:00 pm and Wednesdays at 11:30 pm. The Yungling & Someday, locally produced independent films, Tuesdays at 12:00am in the morning. *Note: Additional airings during the week will be available for most of the programs listed above. Check our online schedule for up-to-date days and times. Tune in to see the recent visit by Democracy Now's Amy Goodman and Blackwater author Jeremy Scahill to Madison's Barrymore Theatre. The event was co-sponsored by WORT FM and WYOU and was filmed by the WYOU production team of Natalie Hinckley, Karen Chin, and Eric Allin. Watch the entire 2 hour program during the month of December. It will air Tuesdays at 8:00 pm with repeat showings on Mondays at 9:30 am and an insomniacs airing on Thursdays at 3:00 am. Attention gorilla indie filmmakers! Make a film in less than 48 hours! The Wis-Kino Fall Kabaret is here! Friday thru Sunday, Nov. 21-23, with kick-off at 7pm tonight at Sundance Cinema's North Lounge. Final screening at 7pm on Sunday, Nov. 23 at Sundance Cinema's Theater #2. See more! Wis-Kino films air on WYOU every Monday at midnight. Remember we're analog 95 & digital 991 on you cable dial. The new WYOU Executive Director Barbara Bolan has now been on staff for about a month and things are moving forward at the station. Change is in the air and things are looking up. Want to learn more about WYOU? Come sit in on the monthly board meeting. It's open to the public. Next Board of Directors meeting: Tuesday November 25th at 6:30 pm; held at the station, 609 East Washington Ave, Madison. This past August, the African Association of Madison held their annual Africa Fest in Warner Park. WYOU's video crew, led by the station's Tech Director, Eric Allin along with camera operators Chris Wales and Tony Zirngible, were on hand to get coverage of all the music and festivities. The video footage first premiered on Sankulay Jallow's West Africa Experience (Sunday's at 4:30 pm), but now all this month you can see lots more. Tune in each week for something new: Mondays at 8:30 pm, Tuesdays at 11:00 am & 3:30 pm, Wednesdays at 5:30 pm and Saturdays at 8:00 pm. 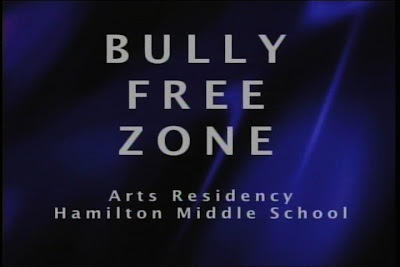 The Tap It New Works Ensemble Theater brings you B-F-Z: Bully-Free Zone, a short performance by student's at Madison's Hamiton Middle School. Check it out all November here on WYOU, Saturdays at 3:00 pm and Wednesdays at 10:00 am & 5:00 pm. 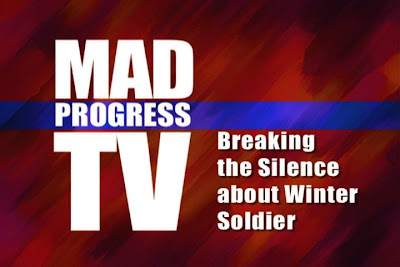 Mad Progress TV is much more of an effort than a TV program. This campaign asks what Martin Luther King Jr. would do if he were alive today, and we look to his speech Beyond Vietnam: A Time to Break Silence--made one year to the day before his assassination--for inspiration. Within that speech King argued that the war in Vietnam was merely indicative of a far greater "malady of the American spirit", and that the time had come in regards to this malady when "silence becomes betrayal". This show is our attempt to actively break this silence, as an analysis of the ailments King recognized expose alarming parallels between our country then and now. Most importantly, we believe as King believed that the silence in regards to the active betrayal of our soldiers is perhaps the most heinous sign of this condition. Both the wars in Iraq and Vietnam bring "cynicism to the process of death" for the American men and women willing to give the most for their country, and speaking out about this travesty is our most important initiative. This program is part of a larger effort entitled Beyond Iraq: A Time to Break Silence which we hope will help bring attention to these parallels. We hope this work will help inspire others to break the silence with us, so please visit our website to learn more about what we are doing and how you can help! Watch Mad Progress TV on WYOU Saturday afternoons at 3:30 pm. Local filmmaker and WYOU member Vincent Colombo recently started the Mad Town Film forum, an online place for indie filmmakers to network in the Madison, Wisconsin area. Ask questions, post videos, and connect with other videomakers. Check it out! 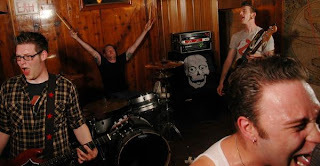 Longtime WYOU producer Sean Bode is back all this month with his coverage of the punk rock band The Gusto. You can see The Gusto: Live from the Tornado Room Thursday's at 11:00pm and Monday nights at midnight right here on WYOU.